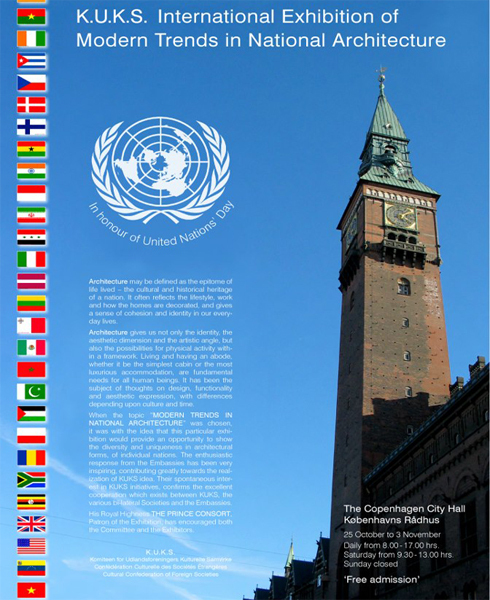 The Embassy of Malta in Denmark is participating in the international exhibition of ‘Modern Trends in National Architecture’, in honour of United Nations’ Day. The event is being organised by the Danish Cultural Confederation of Foreign Societies (KUKS), whom his Royal Highness the Prince Consort is a patron of. Through collaboration with the Embassy of Malta in Denmark, AP, Grand Harbour Regeneration Corporation (GHRC), Renzo Piano Building Workshop (RPBW) and Il-Kamra tal-Periti (Malta Chamber of Architects and Civil Engineers) are contributing to the exhibition. The following is a description of the projects exhibited. A Vision for the Grand Harbour. In order to spearhead this initiative the Government set up the Grand Harbour Regeneration Corporation plc, which provides focus to the regeneration process and ensures that a holistic approach is adopted, whilst taking into consideration the importance of the historic urban fabric. Two of the projects currently underway are the Barrakka Lift, a freestanding structure that will vertically connect the port area with the heart of the City of Valletta, and the Valletta City Gate Project which includes the restoration of the ruins of the Old Opera House and their rehabilitation to house an open air theatre, the construction of a new Parliament Building and the creation of a new gate to the city.